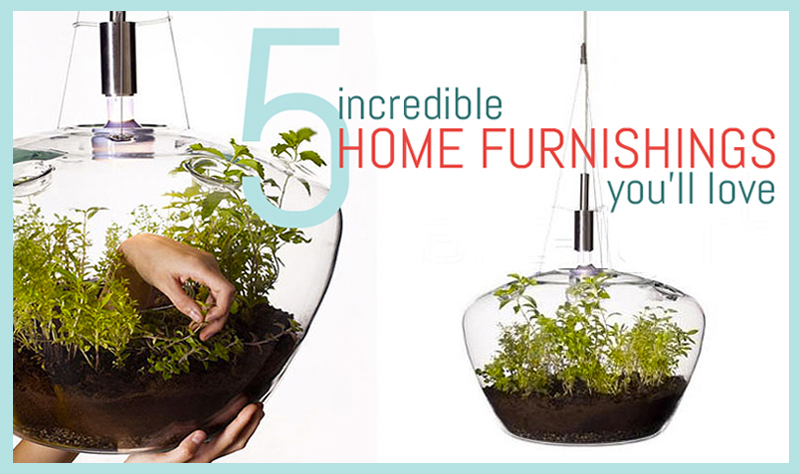 Terrariums are quite popular right now, as is growing your own edibles at home. 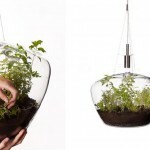 Kristyna Pojerova‘s design combines the two into one stunning pendant lamp. The ‘Glasshouse‘ is beautifully constructed with an onion-shaped glass orb in which the greens and light source can be accessed from below. 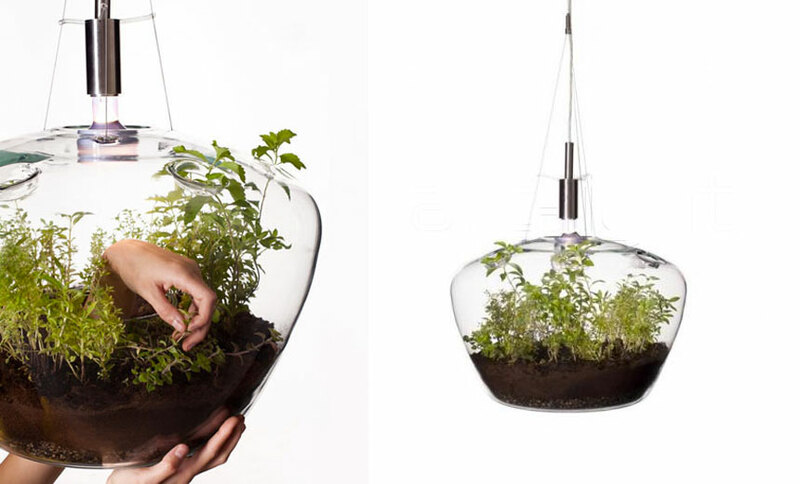 The unique shape promotes and supports growth (akin to the incubation effect of a traditional glasshouse or cloche), and the light shining from above supports photosynthesis even in darker spaces. 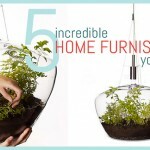 Plants can be watered via the holes above. 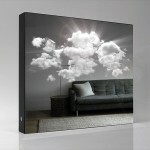 You can give your heavenly home that halo effect with Adam Frank‘s luminous Lucid Mirror. 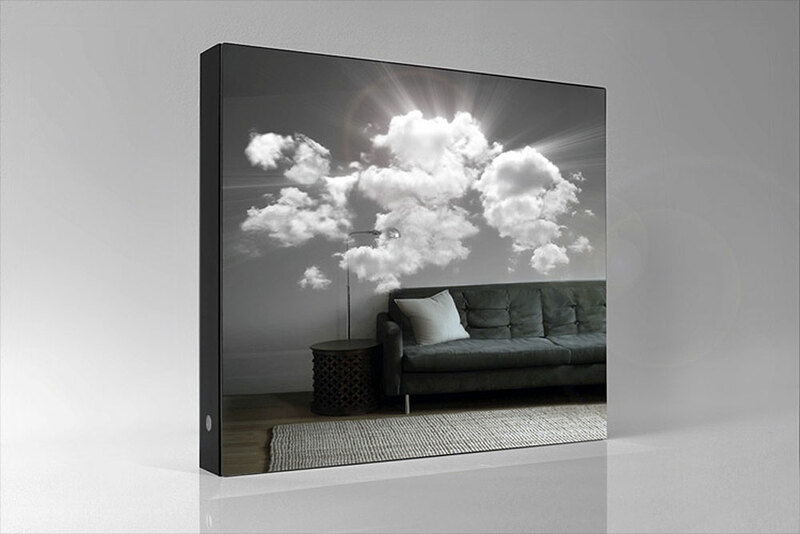 This unique mirror places a 3D image behind the glass surface of a mirror, depicting sun rays shooting through clouds behind the plane of the reflective surface. You and your guests can ‘touch’ the illusion with their reflected image, or attempt to ‘part the clouds’ with your fingers. Kick your couch potato ways to the curb with Tobias Fränzel‘s Champ Sofa. 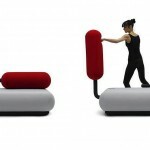 Designed for the Italian brand Campeggi, the multi-tasking piece features a backrest that flips up into a punching bag. 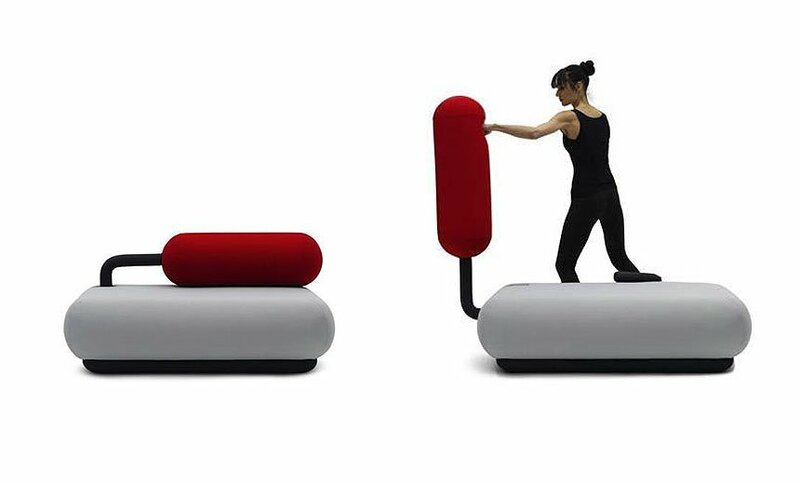 This sparing partner is as ready for a workout any professional equipment, and Franzel even deems it safe enough for even children to play with. Champ is handmade in Germany with the best materials, and can be customized with a variety of colors to match your decor upon request. 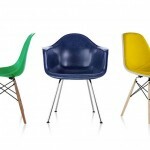 Quite possibly the world’s most recognized designer chair, the iconic Eames fiberglass shell chair has been born again! Back 1950, the chair was released by Herman Miller and manufactured in fiberglass, but eventually abandoned in the 1990s due to health concerns associated with the production and application of fiberglass. Since then, other materials have been employed, but it’s the original mid-century modern masterpiece that has continued to capture the hearts of design enthusiasts. 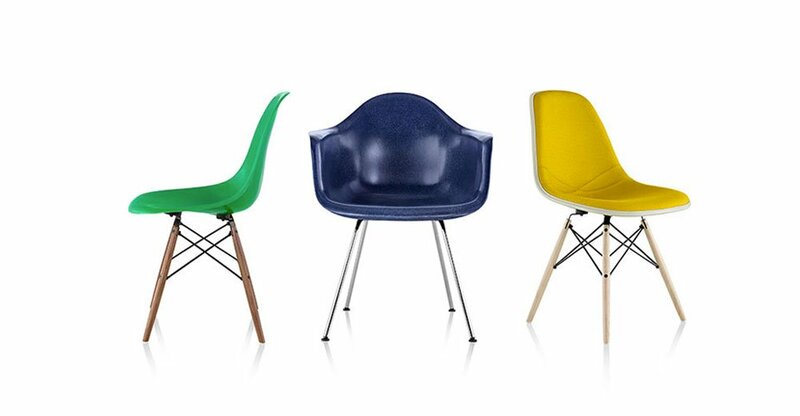 In response to the unwavering demand for the classic, Herman Miller has has just released its brand new Eames Molded Fiberglass Shell Chair in eight eye-catching vintage colors, made from eco-friendly, recyclable fiberglass. These new beauties carry the same aesthetic as the first generation, but are now fully customizable. 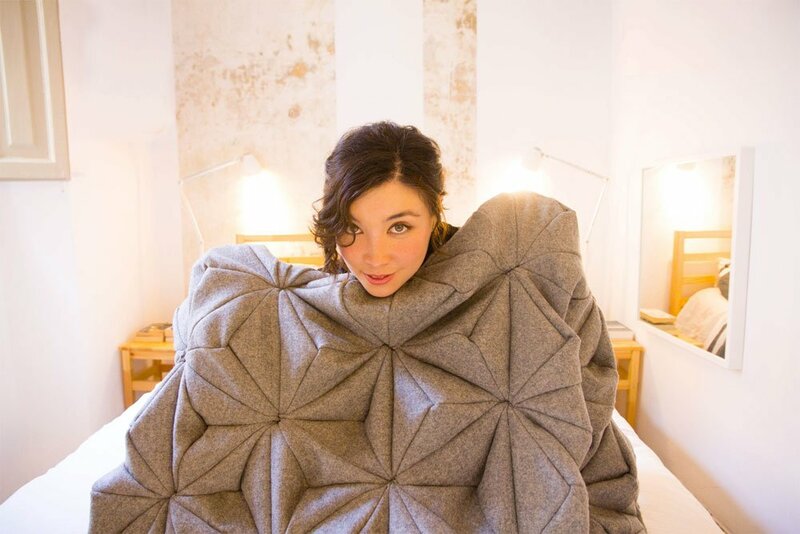 It’s still cold out and we couldn’t think of a better way to keep warm than with Bianca Cheng Costanzo‘s ultra-luxe cashmere wool blanket. But this is no ordinary cover. 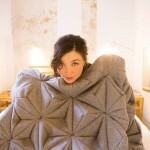 Bianca’s design, called ‘Bloom‘, is a sophisticated arrangement of geometrical forms inspired by origami. This beautiful blanket is now available through Bianca’s Kickstarter campaign, where she’s already raised more than 10 times her target goal!